Maxwell Boulevard connects Downtown Montgomery and Maxwell Air Force Base along the Alabama River. The City of Montgomery recently acquired land between the boulevard and river on a bluff adjacent to the vast, waterfront Powder Magazine Park. This site was formerly occupied by the troubled Riverside Heights public housing project. The plan for the City’s property is a complete and connected new neighborhood which adds vitality to the Downtown, contains an affordable housing component, and at the same time assists the base with its housing, lodging, and recreational needs. 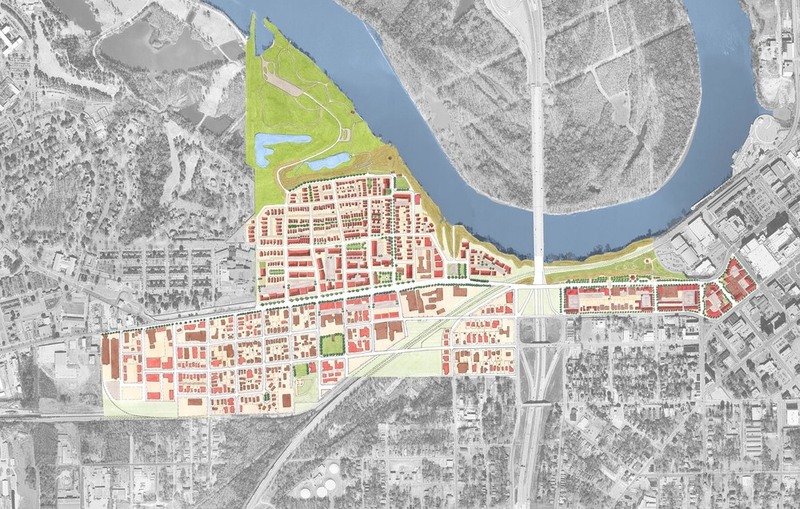 In time, complementary redevelopment can be expected along the boulevard, and especially near Overlook Park where the boulevard offers business and office opportunities at the highest point of the City overlooking the Alabama River. 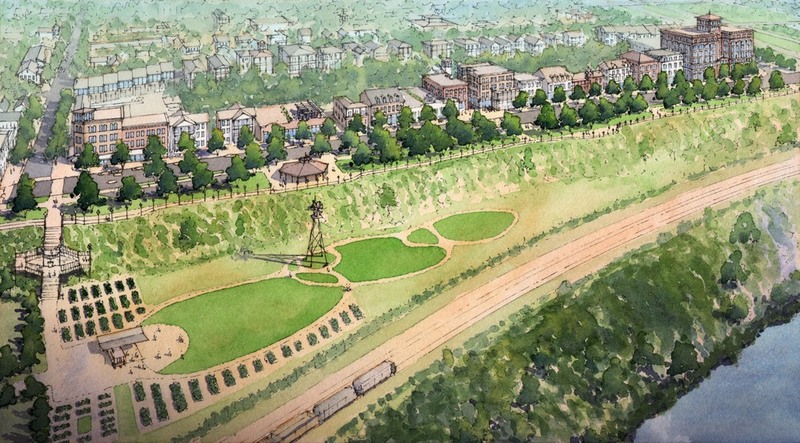 Dover, Kohl & Partners worked together with Urban Advisors, Gibbs Planning Group, and Hall Planning and Engineering to create the Maxwell Boulevard Neighborhood Plan. In addition, the team was assisted by volunteers from the City, Gary Justiss Architect, and Keizer Consulting. 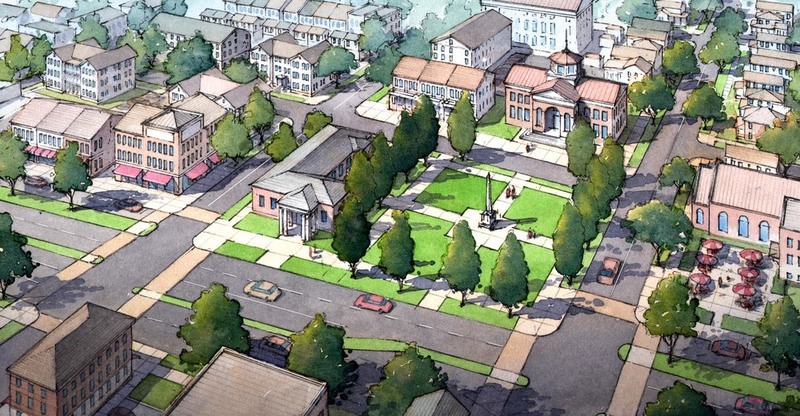 A week-long charrette was held in Montgomery the first week of March 2011. Over 100 people participated in the public hands-on charrette and returned for the Work-in-Progress Presentation. During the week, a series of over 20 technical meetings with City officials, City staff, developers, property owners, transportation officials, historic boards, business associations, Maxwell Air Force Base representatives, the Army Corps of Engineers, and the Salvation Army were held to discuss the details of the plan, identify potential problems, and resolve them. The plan and proposed SmartCode transect zoning have been approved by the City.